These incredible tanzanites and diamond drop earrings move freely and gracefully with each turn of the head. 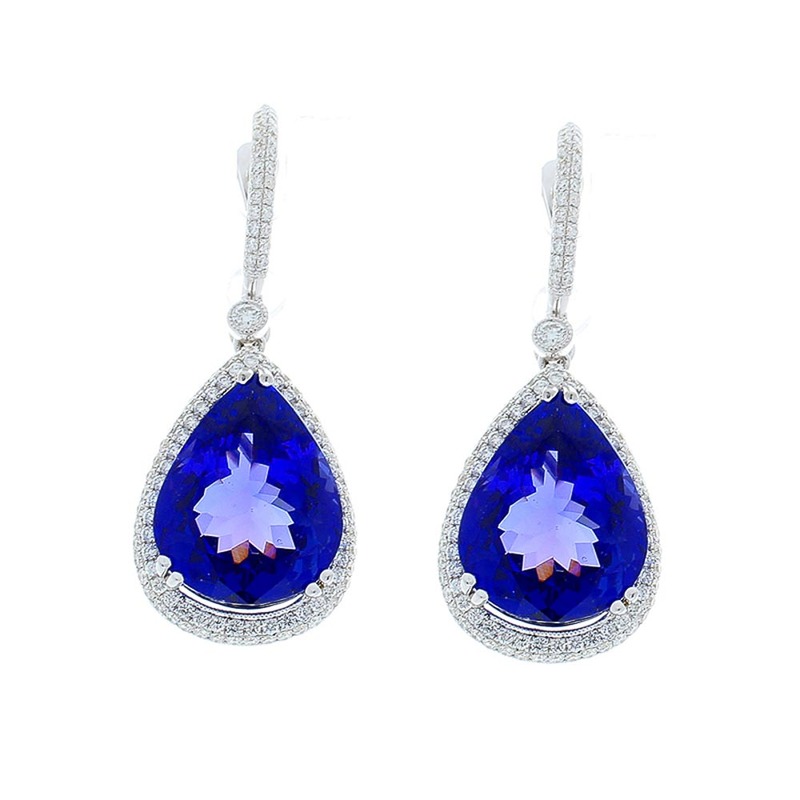 The earrings feature 17.82 carat total of sparkling bluish-violet tanzanite that are perfectly matched. This is the vivid color you want! The color resembles fine sapphire. The richly hued tanzanite are from Tanzania and are surrounded by a dazzling pave diamond halo. Pave diamonds also extend up the front of the French clip bringing the total to 2.40 carat. These earrings are fashioned of striking 18 Karat white gold and are captivating from every angle.